Caribbean Lifestyle Media-LivUp Records who brought you the "Good Life Riddim", will release the "Money Tree Riddim" on April 27th. 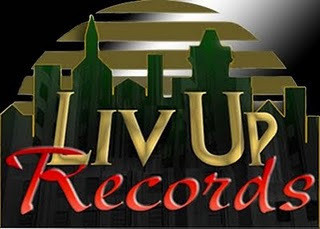 LivUp Records saw recent success with four #1 songs including, "I am Blessed" by Mr Vegas and Kartel's "Dollar sign". LivUp also snagged the EME Awards, "Compilation of the Year 2010". The Money Tree Riddim will feature the best of the best in Dancehall-Serani, Kartel, Mr. Vegas, Demarco, Bugle, Chino, Twins of Twins, Konshens, Tuff Enuff, Flippa Mafia, Bramma, Stacious, Pamputtae, Almindon, Munga and Tony Matterhorn. Money Tree Riddim will be available via Amazon and Itunes and other major online retailers. Tony Matterhorn premiered the Riddim at Tivoli Gardens, watch.